On January 23 United States president Donald Trump recognized Juan Guaidó as Venezuela's legitimate president. Opposition leader Guaidó had previously declared himself interim president in an attempt to remove from office incumbent president Nicolas Maduro. 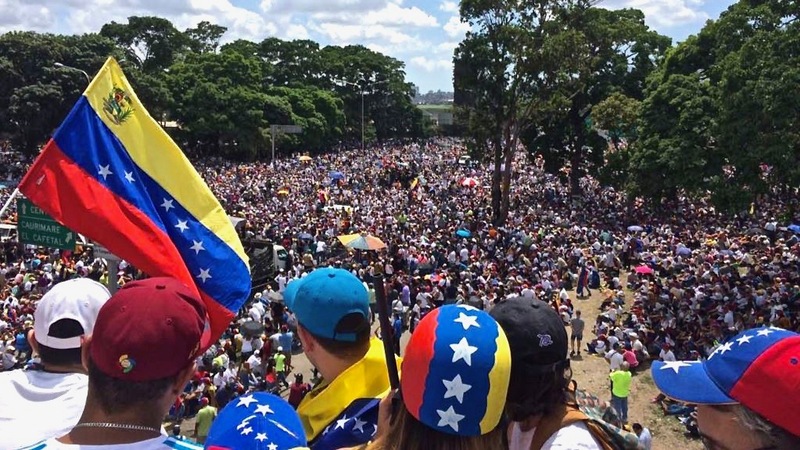 Other countries, including Canada, Brazil, Argentina, and other South American governments, soon joined the United States in recognizing Guaidó as Venezuela's president. The European Union released a statement calling "for the start of an immediate political process leading to free and credible elections, in conformity with the Constitutional order." Although Maduro's Socialist Party has ruled dictatorially and mismanaged the economy for years, Venezuela is a sovereign nation and its internal affairs should not be decided by foreign powers. Once again, the West is harming what semblance of international order remained in the world, after the Iraq War and the failed intervention during the Arab Spring sowed chaos and instability. In 2011 the US, the UK and France said that Libya's dictator Gaddafi "must go". "We should be clear," UK Prime Minister David Cameron said before Parliament on February 2011. "For the future of Libya and its people, Colonel Qadhafi’s regime must end and he must leave." The US, the UK and France were at the forefront of NATO's intervention during the Arab Spring, which resulted in chaos and instability throughout the region, and culminated in a global wave of authoritarianism. Meanwhile, on January 21, 116 scholars and 27 former diplomats from 19 countries signed an open letter to Chinese president Xi Jinping calling for the release of two Canadian citizens. "We, the undersigned scholars, former diplomats, and others with an interest in understanding China and building bridges, are deeply concerned about the recent detentions of Canadian citizens Michael Kovrig and Michael Spavor," the letter stated. "We request that you immediately release Messrs. Kovrig and Spavor so that they may be reunited with their families." As was predictable, such a letter had no effect. On Tuesday Chinese Foreign Ministry spokesperson Hua Chunying said at a press conference that "[b]y openly yelling at China and demanding the release of the two Canadian citizens under the lawful investigation of relevant departments, [the letter’s signatories] have interfered with China’s sovereignty." Obviously, Western scholars and politicians have not yet learnt the lesson that dictators don't care about statements. In the summer of 2008, when Russia was preparing to invade northern Georgia, the president of the country, Mikheil Saakashvili, had a phone call with Vladimir Putin. Bullies and dictators are not impressed by empty statements. But the West has shown time and again that it is willing to interfere in the internal affairs of poor, weak, and often resource-rich countries, while it appeases powerful dictatorships. China and Venezuela are two test cases of Western foreign policy. And once again, the West is failing. The only way to rebuild peace and international order is to be tough on human and labour rights violators through diplomatic and economic strategies, while at the same time respecting each state's sovereignty. Venezuela might be a brutal dictatorship. But it is a sovereign state and its internal affairs should be dealt with domestically, without foreign intervention. Diplomatic and economic pressure may be applied, yet there is no justification for Western democracies to choose a president as if they were 19th century imperialist powers. Communist China, by contrast, has been treated with subservience despite all the human rights violations the regime has committed from the 1989 Tiananmen Square massacre, to the crackdown on Falun Gong, to the recent detention of Western citizens such as Gui Minhai, Yang Hengjun, Michael Kovrig and Michael Spavor. But it's not only high-profile foreigners who have been targeted by the Chinese Communist regime. For years, common citizens have been victims of state harassment in China. But how have Western democracies treated the Communist regime? In the late 1990s, a few years after the Tiananmen Square massacre and during the suppression of Falun Gong, US president Bill Clinton rewarded China by endorsing its entry into the World Trade Organization. What signal did it send to the world and to the Communist regime? No matter how many human rights abuses Beijing commits - whether it's the detention of dissidents, the threats against Taiwan, the crackdown on Hong Kong's democracy movement, or the arrest of foreign citizens - many Western leaders and pundits have for years stressed the need to build a strong relationship with China, and even to promote economic interdependence between the US and China, regardless of human rights, labour rights, and national security issues. Once again, the West got it all wrong. In order to build a more stable international order and promote human rights, Western democracies must, on the one hand, respect the principle of the inviolability of sovereignty, refrain from policies of regime change and military intervention. On the other hand, they need to pursue a policy of economic self-strengthening that is based on human and labour rights. There should be no free trade with countries that blatantly violate human rights and labour rights, where dissidents are jailed and trade unions are forbidden, where foreigners are arbitrarily arrested and even basic workers' safety is not enforced. In the case of China, the arrest of Western citizens, the violation of Hong Kong's freedoms enshrined in the Sino-British Joint Declaration, and its use of economic influence to pressure Western civil society to accept the CCP's standpoint, should warrant immediate trade restrictions and sanctions. Communist China is not, and never was, a friend. It is a rival. Years ago, Russia was not considered an existential threat to the West. The West allowed Putin to bully, murder, and use oligarchs' money to infiltrate and manipulate Western civil society. In 2016 the consequences of this short-sighted appeasement policy became apparent. Those who today don't regard Communist China as a rival, are even more naive. Western democracies need to rebuild their middle class, promote trade with one another, while restricting trade with authoritarian regimes. Only then can stability, prosperity and morality become the linchpins of a new world order.